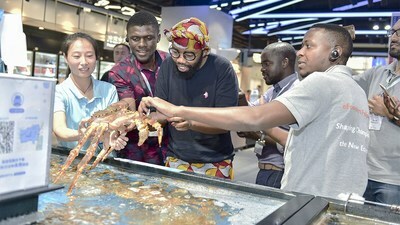 HANGZHOU, China, July 2, 2018 /PRNewswire/ — Alibaba Business School and the United Nations Conference on Trade and Development (UNCTAD) brought 29 young entrepreneurs from 11 countries across Africa to the Alibaba campus in Hangzhou, China for the third eFounders Fellowship cohort. The eFounders Fellowship is part of a pledge by Jack Ma, Alibaba Group’s Executive Chairman and UNCTAD Special Adviser for young entrepreneurs and small business, to empower 1,000 entrepreneurs from developing countries in five years. Two hundred of these entrepreneurs will come from Africa, demonstrating Ma’s personal commitment to supporting entrepreneurs from the African continent and helping them to succeed in the digital world. It supports UNCTAD’s and Alibaba’s commitment to the Sustainable Development Goals, which include making sure no one is left behind in the digital economy. Both Jack Ma and Dr. Mukhisa Kituyi, Secretary-General of UNCTAD, spent time with the fellows during their time in Hangzhou. “With this third cohort of young entrepreneurs, UNCTAD and Alibaba are helping a new generation of business leaders to make the most of the opportunities opened up by the ecommerce revolution,” Dr. Kituyi said. Fellows were selected through a rigorous application process. All are founders or co-founders of platform-based ventures in the ecommerce, logistics, fintech, big data or tourism industries in Africa. During the two-week course, fellows experienced first-hand the transformative impact that ecommerce and technology have had on China. When Alibaba was founded back in 1999, the company faced many of the same barriers and lack of infrastructure that entrepreneurs in Africa face today. 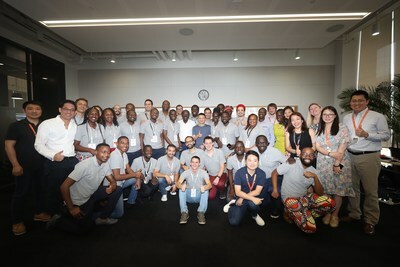 This makes Alibaba uniquely suited to share its experience and lessons learned with entrepreneurs looking to build technology companies in Africa. Attendees met with Alibaba executives and local practitioners to learn from their experiences in ecommerce, payments, logistics, cloud computing, marketing, cross-border trade and innovation to identify lessons that can be applied to their own markets. The course covered New Retail and included visits to a Hema Supermarket, Cainiao’s smart warehouse and Rural Taobao’s service stations. Participants also visited partners in Alibaba’s ecosystem and experienced the cashless economy in Hangzhou. Through interactive sessions with UNCTAD and Alibaba representatives, participants also discussed topics such as the gender aspect to global trends of ecommerce. 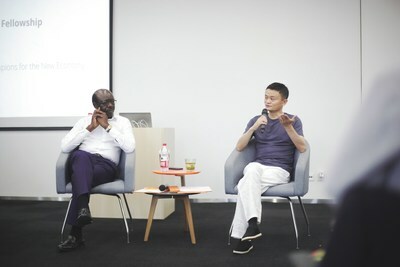 Alibaba previously hosted the inaugural class of African entrepreneurs in November 2017 and Asian entrepreneurs in March 2018. Since their participation in the program, graduates have made transformative strategic shifts in their businesses and have become catalysts for digital transformation in their home countries – raising rounds of investment as well as opening their own training programs. Upon graduation, participants continue to receive formal support from UNCTAD and Alibaba. Leah Uwihoreye, founder of Golden Thoughts, an ecommerce platform for local manufacturers, primarily female artisans, to sell their products. Muhirwa Clement, founder of Uplus Mutual Partners, a fintech company specializing in peer-to-peer mobile payments. Nancy Amunga, founder of Dana Communication, a logistics platform offering courier services for ecommerce platforms in Africa. Caroline Wanjiku, founder of Daproim Africa, a social enterprise that offers affordable volume data management services to research firms, governments and companies. Daproim Africa also provides data management training and job opportunities to university graduates in Africa to help them to develop relevant skill sets. Other Kenya based entrepreneurs in this class include Gladys King’ori of ZOA Tech, Caroline Kariuki of Sarai Afrique Fashion House, Mwai Mworia of M-Paya, Alloys Meshack of Sendy, and Daniel Yu of Sokowatch. Tochukwu Uwakeme, founder of KemResource, an ecommerce company that connects rural farmers to buyers around the world. Chijioke Dozie, founder of OneFi, a fintech company that offers underbanked and unbanked customers in West Africa access to loans and payments through an android app using machine-learning to assess the credit-worthiness of customers in real time. Other Nigeria-based entrepreneurs include Malik Babalola of Gloo, and Olugbenga Agboola of Flutterwave. Arnaud Blanchet, founder of Shopit, an ecommerce company that enables South African mom and pop store owners in townships and rural areas to compare prices at wholesalers and buy at the best price. Roy Borole, founder of Thanga, an artificial intelligence studio which develops AI tools to help brands target consumers by helping them tell more compelling stories for use on social media. The other South Africa-based entrepreneur is Basson Engelbrecht of Hoorah Online Shops. Bright Chinyundu, founder of Broadpay, a fintech company which includes Broadpay, a payment system offering money transfers, bill payments and currently developing agent banking services. Other Zambia-based entrepreneurs include Chinedu Koggu of ProBASE and Njavwa Mutambo of Musanga. Hany Girgis, founder of Masry Market, an online platform helping consumers find local alternatives to everyday products at competitive prices while supporting local SMEs. The other Egypt-based entrepreneur is Hatem Ayoub of Tripdizer. David Gonahasa, founder of Roundbob, an online travel and experience booking platform which seeks to help Africa’s growing middle class find affordable travel options. Other Uganda-based entrepreneurs are Nielsimms Sangho of Intership and Francis Nkurunungi of Xente. Algeria: Taoufik Mousselmal of Maisonmaligne.com, an ecommerce platform uses AI tools to feed and optimize its catalogue into different marketplaces (Amazon, Cdiscount), and is envisioning strong sourcing partnership with manufacturers based in North Africa. Chad: Andreas Koumato of Mossosouk, an ecommerce platform that connects buyers and sellers with a fast home delivery service and innovative local payment methods. Cameroon: Cedric Atangana of Wecashup, a Pan-African payment platform that enables online merchants to accept all the 155 mobile payment channels available in Africa through a single platform. Sadok Ghanouchi of E-Taxi, a taxi platform that provides service to customers through a digital transportation marketplace. Sami Tounsi of Monresto, a last-mile logistics platform connecting customers with local vendors and independent drivers in a one-stop shop marketplace for on demand services. The eFounders Fellowship is part of a set of smart partnerships UNCTAD is creating to reach the Sustainable Development Goals. UNCTAD supports developing countries to access the benefits of a globalized economy more fairly and effectively and helps equip them to deal with the potential drawbacks of greater economic integration. To do this, UNCTAD provides analysis, facilitates consensus-building, and offers technical assistance so that member States can use trade, investment, finance, and technology as vehicles for inclusive and sustainable development. The eFounders Fellowship is part of a set of smart partnerships UNCTAD is creating to reach the Sustainable Development Goals.